Common Gunsense A blog to advocate for sensible gun legislation: Why? There is so much to write about that it's hard to know where to begin. I will blog more on my next post about the Norway attacks and home grown terrorists. We have both foreign and home grown terrorists in America and other countries who have an agenda that is very dangerous. Why oh why do they manage to get guns? But that is for the next post. For this one, let's examine whether more guns make us safer, especially in public places. Some think so. I don't. And when something like this happens at a car show in Seattle, it just doesn't prove the point of the gun rights activists who think that having their guns in public will make us all safer. When someone who has his gun in public for self defense shoots 10 people in just a few quick seconds, we have a problem. No one died. Phew, that's a relief. That gun surely made all of those victims feel a whole lot safer. I'll bet anything that guy with the gun is thinking differently today about his guns. After the carnage in Norway, did we notice that there has been yet another mass shooting in the U.S.? My blogging friend, MikeB, has aptly pointed out that almost as many people die every day in America from gun injuries as were killed in Norway. 80 people a day die in America from gun injuries. This includes suicides, which account for the majority of gun deaths in our country and accidental shootings. The gun guys hate those accidental shootings because they are just not supposed to happen. But happen they do. They also hate the gun suicides because they think those should not be included in the total. Even if they weren't, 32 people in America die every day from gun homicides so their case is not very strong. That's a Virginia Tech a day. But I digress. MikeB linked to an article about a shooting in Texas that killed 6 and injured 4. That's a mass shooting by any one's definition. It's right up there with the Tucson shooting in my book. But the press was so involved in reporting on the shooting in Norway that they hardly had time to cover this horrific story. Both my home town paper, the Duluth News Tribune, and the neighboring Star Tribune reported on the story though. Will anyone bother to pay attention to the story of a man who took out his anger and his domestic dispute with his wife on totally innocent people? Sometimes the stories about shootings in this country are just so overwhelming to most people that they don't know if they, themselves, can do a thing about it. Will anyone pay attention to this story about a house party in Florida where 9 people were wounded by gun fire? Will anyone pay attention to another Seattle shooting, this time at a Casino? Two dead and five wounded in yet another domestic dispute. But who's counting? O.K., I will. in the stories I have linked here, it looks like about 30 injured and 11 dead! What is going on? Should we wonder why people like this man continue to be eligible for gun permits? Now 3 people are dead and several injured because a man who shouldn't have been able to purchase guns or carry guns got a permit anyway. This is the problem with many of our state's permit to carry laws. There was a reason that permits used to be "may issue". Sheriffs and local Police Chiefs understood that there were some people in their communities who would put themselves or others at risks if they were allowed to get a permit to carry or purchase. They screened applicants more carefully and had the good judgement to deny some folks permits. Now most states have "shall issue" permit laws making it more difficult to deny permits. Currently, all states but Illinois have some form of permits to carry loaded guns in public places. All of the laws are different allowing certain people to carry guns in certain places. Some states allow anyone to carry without a permit. 1. Contact your Senators and tell them you don't want a national conceal and carry law that will take the lowest common denominator and make it the rule about who gets to carry guns around in public. If you think that allowing people who shouldn't have guns to take them to places like car shows and roller rinks, then you think this bill is a good idea. It was defeated the last time Senator Thune brought it up but he must be running for re-election soon and the NRA is telling him to bring this bill up so he can score points with them. Shameful, given the facts about guns in public. 2. Tell your Representatives and Senators to vote for the Fix Gun Checks Act to tighten background checks on sales of guns. This is a good idea whose time has past, actually. 3. Tell your Representatives and Senators to vote for the bill to limit ammunition magazines to 10 instead of the unlimited shots that people can get off now with the magazines used in their guns. Why someone needs to get off more than 10 shots is beyond me- especially considering the Norway carnage and the Tucson shooting. The gun guys want these high capacity magazines. Why? Inquiring minds need to know. 4. Tell Congress to vote in favor of the Terror Gap bill that would put the names of people on the terror watch list into the NICS so that they can be stopped by federally licensed firearms dealers at the point of sale. Considering that we have both foreign and home grown terrorists, this bill is making more and more common sense and needs to pass. You can participate in common sense gun policy by making sure your elected leaders know you are watching and wanting them to do the right thing. You can ask your elected leaders why they are failing to act on sensible gun legislation in the face of all of this senseless carnage. Let them know that you are sick of their denial and failure to act and that you want sensible gun policy. Elections are coming soon. Your voice should be just as loud as the that of the gun rights activists who have made it their life's work to see to it that people have more guns in every nook and cranny of our country. I know that many of them will contact Congress to do the opposite of what I am asking of my readers. Let's make sure that the voices of common sense are louder than the voices of the gun rights activists. You can be part of the problem or part of the solution. If you don't act, you are part of the problem. And that is one reason our elected leaders continue to deny sensible legislation to stop gun violence- they are hearing the loud voices who have convinced them that more guns make us safer. Remember the incidents I highlighted above if you think that is a good idea. Remember all of the others I have written about if you think it's a good idea for people to have guns in bars, roller rinks, car shows, casinos, churches, hospitals, and all of those other places where people with guns have shot innocent Americans. Remember that terrorists can legally purchase guns in America. Remember that people on the prohibited purchasers list (NICS) can still get guns from unlicensed sellers. Remember that some people get permit to carry guns in public places who should not have them. Remember that we have our own home-grown terrorists who are amassing arsenals of guns to use against their own government. Think of Jared Loughner in Arizona, the shooter responsible for the carnage in Tucson. Think of Seung Hui-Cho who killed 32 people at Virginia Tech. Think of domestic abusers. Think of felons with guns. Think of drug abusers with guns. Think of kids with guns. Act for common sense. "Sheriffs and local Police Chiefs understood that there were some people in their communities who would put themselves or others at risks if they were allowed to get a permit to carry or purchase. They screened applicants more carefully and had the good judgement to deny some folks permits." They also got to decide this based upon arbitrary guidelines with arbitrary restrictions. They gave out guns to those that were connected to them - to their friends - and to others. It certainly wasn't based on any sort of clear criteria - and a change in police administration could result in the loss of all permits in a city - which is something Minneapolis PD attempted to do (and then lost in court). Shall issue laws solved this problem for Minnesota - and there isn't a shred of data from objective sources that indicates that this law has been anywhere near the problem that your "side" made it out to be during the debates. Minnesota law allows a sheriff to deny a permit to a person who is not forbidden by statute, if he believes the person to be a threat to himself or others. It simply requires that he actually have some documented evidence as to why he believes that. What we had, under the old law, were police chiefs denying without evidence, or establishing policies of denying to everyone, regardless of evidence, except for their friends and campaign contributors. Discretion must have limits, and denial must be based on some evidentiary foundation. That's not RKBA stuff, it's fundamental due process stuff. It's early days Bryan. The damagine effects of loose gun control laws will become more apparent as time goes by. Thanks for the mentions, japete. Fanatical hatred of Islam is what the famous Anders has in common with many of the gun-rights folks in the States. There's probably one of them out there right now who's thinking how he can outdo this nut. And the sickest part is the others are fighting to make it easy for him to get away with it. "It's early days Bryan. The damagine effects of loose gun control laws will become more apparent as time goes by. " Minnesota has eight years of history to look at. A history that does not at all show the sort of results that gun control advocates said would happen if "shall issue" laws passed. Around 86,000 permit holders presently. Florida has had shall issue since 1987 with similar results (that's 24 years in their case) and other states have had it even longer. Florida has something like 187,000 permit holders. Just how many years has to pass before it's not "the early days" any more? 1 dead and 8 injured at a birthday party in Stockton, CA. That makes 38 injured and 12 dead- in an addition to my numbers above. There are serious problems with all of these proposals. 1. I admit I'm a little on the fence with this one. Part of me says that it should be a State issue and where do the Feds get off forcing it. On the other hand why should my Federal Constitutional Rights evaporate simply because I crossed into a State currently controlled from a single city, as is the case in Illinois and many other states where this is practically no CCW. What's more, you're more than happy to use the Federal Bludgeon when it is a law you're in favor of, no? 2. The Fix Gun Checks Act seems to be an unbelievably badly designed law. Setting aside whether background checks really reduce crime or not, it seems this law could get your rights tossed out the window simply for being arrested for certain things. Not convicted, merely arrested. One of the ironic bits is that it seems to focus a great deal on War on Drugs type goals and that is where most of the violence in this country comes from. Funny that. 3. Why should we ban something simply because you and yours don't understand why anyone would want/need it? I don't understand why people want/need Hummers, shall we ban those? Since you've asked why, even though it has been said before, one reason is that larger magazines means a greater chance of defense without reloading. 4. You really want to advocate for stripping the rights from people based on a secret government list that no one can see, you have no practical way to get off of and is full of incorrect information? If we weren't talking about "hated guns" would that sound like a good idea? Shall we also prevent those people from public speaking or publishing on the grounds that they're so dangerous that they can't be allowed to speak in public? Would that sound like a good idea? Atrius put it better than I could. Common Sense dictates that misuse never comes before proper use. A gun law that is truthfully sensible will stop criminals from purchasing (or otherwise transferring), owning or using a weapon (or accessory in the case of standard-size magazines), but will never, not *ever* prevent a law-abiding gun owner from doing the same. Using this reasonable, responsible criteria, it's clear that few, if any of your proposals are legitimately sensible. Guy, where have you been? I've missed your comments and certainly don't agree with your assessment of mine. japete wrote: Now 3 people are dead and several injured because a man who shouldn't have been able to purchase guns or carry guns got a permit anyway. No - three people are dead because an individual made the decision to kill. Period. You make a causal connection that does not exist. It's also true that this individual was of Asian descent? Did that cause the rampage? He was married. Did that cause the rampage? MikeB wrote: It's early days Bryan. The damagine effects of loose gun control laws will become more apparent as time goes by. Yeesh. In other words - "trust me. It'll happen. There's no evidence, of course, but I don't need evidence; I just 'know.'" Do all you folks believe in totem magic? Really? 1) I actually agree, but for different reasons. I don't think the Federal gov't has authority to nationalize carry law. It's a state matter. Of course, it can be persuasively argued that many states (such as Illinois) gun laws are unconstitutional in themselves, but that's another matter. Illinois, and in particular Chicago, has gun laws that are blatantly unconstitutional. It's just a matter of time before Chicago gets slapped down. Again. 2) Fix Gun checks act - not opposed in principle, but this one is a bad law, for the same reason as your number 4: it tosses due process, one of the centerpieces of American jurisprudence, out the window. 3) "Feel good" legislation, which makes no real difference, lets legislators say they've "done something," sets terrible precedent, and actually makes individuals less safe. Don't officers have those evil large capacity magazines for a reason? Moreover, it's literally unenforceable. 4) See above. Dispenses with due process, and that's never acceptable. You should be ashamed of yourself, japete. If you proposed this sort of thing for ANY other consitutional right, you'd be screaming bloody murder, and rightly so. But here's it's OK? Really? You really want to set that precedent? You really trust gov't to do so? Nope. Not acceptable. And, BTW, these proposals have zero chance of passing. PS: let's see if this get's published, or the make 'em up as you go along "rules" get invoked. I know which way I bet . . . . I usually do not post comments from GMC70 because he is a smart aleck and often a jerk. But I wanted my readers to see this one. As to the FixGunChecks Act, the Senate version has fixed some of the things that were objectionable from the House version. If it happens to pass both houses, this would get ironed out and not a reason to reject the bill. I do trust government to work out a way to deal with placing the names of known terrorists on NICS. I have had reservations about the names on the list being arbitrary in some cases. Those folks have managed to get their names off and it hasn't been easy. But if one of them is rejected from buying a gun and they are not in a huge rush for that gun ( why is anybody in a huge rush?) there is a way to work that out. I am not ashamed of myself at all. That is an interesting word to use as if you are scolding me. That is why I don't usually publish your comments. BTW- I don't see the ban on high capacity magazines being unenforceable. If new ones manufactured are only 10 rounds and the old ones with dates are "grandfathered" in and law abiding citizens don't try to sell the now banned ones, it should work in time. Nothing is going to produce magic results overnight. I don't say that and neither does anyone on the gvp side. But not trying to do something is just not an option in this current atmosphere of home grown terrorists and crazed people bent on death and destruction. Thanks, Japete, for posting those suggestions on what we can do. With yet another mass shooting in Stockton, CA today, we should remind ourselves that it is ridiculously easy for such horrors to happen here. Another 8 were wounded and one killed, in Stockton. That is an unfortunate event and tragic to be sure. However, while in numbers it may qualify as a mass shooting it isn't at all the same as what most people think of as a "mass shooting". Given the location and various other factors I suspect this would be another instance of the most common form of violence in US, gang related. It is certainly possible that a random person shot up the party for no reason at all. Though, I think it is probably more likely that it was a hit against a revival gang that took place at a time when it was like to be easiest. This, like most violence and crime like it and related to it, could be eliminated by taking away the gangs power base. Odd that hardly no one seriously talks about that, no? Your demands are far too reasonable. We already have laws that are far more lax than even gun-friendly Norway. It shouldn't be about stemming the tide--it should be about reversing course. We need to make it extremely difficult to obtain semi-automatic weapons of any variety in the US as a start. Our goal should be the the closing of major US weapons manufacturing firms and sellers of their products. Period. No background check would have stopped the Norwegian terror attacks. A ban on the sale of semiautomatic handguns and carbines, which the shooter used, would have mitigated the damage considerably, as there are no indications he had any connections to the criminal underworld, and thus would have been unable to purchase such devastating instruments of terror. First, government should never, ever, ever, ever be allowed to toss rights of citizens out the window based on a secret list. Not ever. No rights. We allow that on this and we open a door that we definitely do not want open and would be bloody hard pressed to close again. I suppose this also illustrates one of the fundamental differences between our two sides. You seem to trust government implicitly. We view it as at its very best a necessary evil and often just outright evil. I am, of course, speaking in general vice of our particular government at the moment. That said, several hundred (or more) years of blood soaked history teaches us that governments in general tend to eventually get out of control and start slaughtering their people. As such, they are not to be trusted too far. Why would anyone be in a rush to buy a gun? I'm a single mother who has been threatened by her ex-boyfriend who said he would kill her tomorrow. I'm a gay man under constant threat of attack. I'm a community activist who has been threatened by gang members for trying to clean up the neighborhood. I'm a man alone who has been threatened by an ex-lover of his girlfriend. Shall I go on? The point is, things can happen bloody fast and not everyone is willing or able to rely on the police (at best several minutes away) when a mad man/woman/group/whatever is right outside the door. So they want something to protect themselves *today*. Would you say they're wrong for that? Oops.. their name is a bit too close to the name of someone on the secret list. Hope they can get that sorted out before trouble finds them, no? A new ban on greater than ten round magazines is unenforceable unless it either required full turn in, good luck with that, or stamping of all existing ones with dates. Needless to say the ways around that last one would be extensive rendering the law moot even if you don't consider the ease with which one can just make or modify a magazine. Yes Atrius. There is certainly a lot of evidence that the Obama administration intends on slaughtering citizens!! Not. Provide me with evidence if such since you brought it up. It seems like the gun guys want to assume that any shooting such as this is just gangs so we don't worry about the dead and injured. And thanks go to Sean who says it like it is. He is right, I am too lenient with my requests. Much much more should be done about assault type guns and ammunition. There is really no need for them for any practical purpose other than shooting at targets. They are not needed for self defense. Er... Joan... re-read what I said: "I am, of course, speaking in general vice of our particular government at the moment"
Whatever else the Obama administration and he himself are I'm fairly confident that they are not currently plotting to wipe us out. The point of that statement was that governments in general are not to be trusted too far. None of them are totally immune to corruption and abuse, even if some are are less likely to succumb than others. Who said we don't worry about the dead if it was gang related or not? That would be pretty callous especially since even if it were a gang hit I doubt all the victims were gang members. The point in saying that is that is that gun bans and such would have little impact while ignoring the root cause of such violence. As to Sean up there... If the measure of "gun friendly" is Norway then I think we know how extreme he wants to be without reading the rest of his... ideas... sure, pass more laws as that will totally stop such people. How did that law against not making bombs with fertilizer work out? Don't underestimate the enemy and presume that they can't get around small laws when they are committed to trashing the big ones. I can assure you, Atrius, that I have had the conversation about gangs shooting at each other with some on the gun rights activist side. They have told me that we shouldn't count the gang shootings because they are just shooting each other and that's a good thing. So, yes, there are some on your side who have that view. I'm sure there are. No sufficiently large group is devoid of people with mental challenges of some sort or another. That said, it is useful to sub-divide the types of offenders for the purpose of determining the best course of action to reduce or eliminate those factors and causes, no? As I've said before. If they are indeed a "known terrorist" then to heck with putting them on the NICS list. Arrest them and put them in jail until the trial. If they are merely a suspected terrorist on a watch list, then WATCH them. If there are too many to assign full time surveillance, then we have way bigger problems than who is on the NICS list. Otherwise, they MUST be treated as innocent until they act otherwise. I don't think you posted my comment last time, so I'll try it again. If you know that 900+ people that are on the watch list have already purchased guns, how many of them have gone on to commit acts of terrorism? If they have not, then *perhaps* they didn't belong on the list to start with no? Otherwise how will you know if the problem is worth dealign with or is just an imagined problem? In the world of lean manufacturing, we like to use something called "Root Cause Countermeasures" (RCCM) to identify and solve problems at the source, so the symptoms don't keep reappearing. Doctors do the same thing when they diagnose a patient (you don't keep giving Immodium to a dysentery patient; you have to identify the reason for the diarrhea--dysentery--and treat that). Anyways, this same RCCM system can be applied to the topic at hand as well. 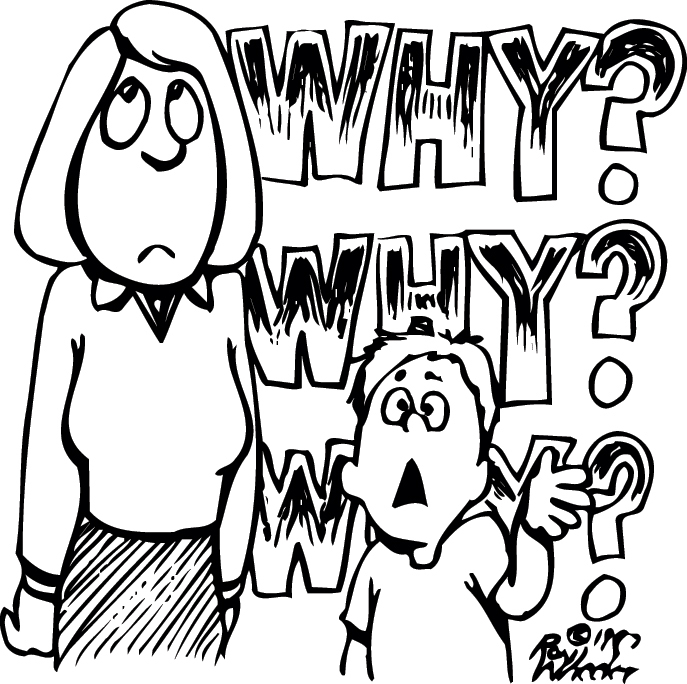 Part of conducting an RCCM analysis is to ask "Five Why's." This helps ensure that you have gotten to the root of the problem. This same methodology can be applied to the issue of (gun) violence in the US. However, at no point in that analysis will "Because he/she/it/they had a gun" ever be the answer. Therefore, addressing the gun itself is merely applying a band-aid to a deeper systemic issue, that will keep reappearing it until the true root cause is identified and fixed. Problem: Jared Loughner shot Kathy Giffords. Why did he shoot her? Because he had an irrational fear of her as a threat to his political beliefs. Why did he see her as a threat to his political beliefs? Because he is a paranoid schizophrenic. 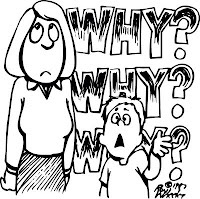 In this case, we can stop at two "Why's" because we've reached the root cause of this issue. We can't dig deeper because he was born with that condition, and nothing else caused it. Notice, however, that "because he had a gun" is not the answer to any of those questions. It may be the answer to the "how," but identifying and treating the mental disease that caused him to pull the trigger is the true RCCM here. On a macro scale, identifying and treating--and segregating if necessary--the mentally ill is the solution. Even removing access to firearms for the (violently) mentally ill is not the true solution, because there are many other ways that someone can harm others (or themselves); we're a creative species in that regard. What the heck does all of that nonsense mean, JMB? First of all, it's not Kathy Giffords, it's Gabrielle Giffords. Second of all, Huh? "We need to make it extremely difficult to obtain semi-automatic weapons of any variety in the US as a start. Our goal should be the the closing of major US weapons manufacturing firms and sellers of their products. Period. " "A ban on the sale of semiautomatic handguns and carbines"
At least now we understand your gun ban agenda, Sean. Yes, Gabrielle Giffords. Not intended as a slight or to trivialize, just a misfiring neuron somewhere in the old brainpan. I apologize. I've re-read my comments, and they appear to me to be pretty straight forward (other than the brain fart on the name). You will have to ask me a more specific question, otherwise I'm not particularly sure what needs explaining. As a start, ask yourself (honestly), why the roller rink shooter did what he did. Then ask why that occurred, and why that occurred. I suspect that "because he had a gun" will not be the answer to any of your questions. Try walking through it, it will be a good exercise. To those who think a national carry permit recognition is a violation of state rights, do you think that recognizing other's states driver's licenses, marriage license, etc. is a violation of state's rights? It's called full faith and credit in the Constitution (Article 4), "Full faith and credit shall be given in each of these States to the records, acts, and judicial proceedings of the courts and magistrates of every other State." So then, Rob, those who get permits in Alaska and Arizona who don't have to go through any procedure to get that permit so we don't know if they really should be permit holders under the rules of other states, should be allowed to carry those guns in states that have stricter rules about who gets a permit in the first place. That is so reassuring. Yes Joan that's exactly what it means. The state of Wisconsin does not register boat trailers, every other staterecognizes that fact and will not give a Wisconsin resident a ticket for an unlicensed trailer. You will moan at comparing boat trailers to guns but the legal concept is identical. Perfect example of proof of the gun control people wanting to ban guns. Furthermore, if you succeed, I want them to be completely closed. I want the gun companies to follow in the footsteps of Barrett. If a citizen can't buy a firearm, the company, if in business still, does not sell to the law enforcement of that state. And if the feds do it, then the feds had better start up gov't manufacturing. I believe both those states still have a permit process for those that wish to carry out of state. I do not believe that would change. Yes, P, I will moan. You can't even begin to compare reciprocity for boat trailer licenses with that of gun permit holders. The last time I checked, a boat trailer is not a weapon designed to kill people. There is a very huge difference. "You can't even begin to compare reciprocity for boat trailer licenses with that of gun permit holders." True. Carrying firearms for defense of self and others is a constitutionally recognized fundamental right, boating trailers is simply a hobby. Speaking as an Alaska CCW holder, there is a process that one must go through to obtain the license, including instruction, range time, and a background check. You don't need that done to actually carry concealed, of course, but you do need it to get the license that is then valid in other states. This bill does not say that I can go carry in California with no permit because Alaska doesn't require one. It says that if I have an Alaskan permit, it's as valid as California permit. "The gun guys want these high capacity magazines. Why? Inquiring minds need to know." "standard" for my M&P 9 is 17 rounds while standard for my 1911 is only 8. My black rifle is designed for 30. Point is, if I put a ten round magazine in my 1911, it would be a high capacity magazine for that gun but you would still be ok with it. but 17 in my M&P is bad even though that is the number it was designed for. Look at the Columbine massacre. Harris had thirteen 10-round magazines and fired 96 times. Klebold had a tec 9 with three "high capacity" magazines as you define them. a 52, a 32 , and a 28 round, yet he fired it a total of 55 times. Just a little more than half as much as Harris. How did capacity change anything?